Closeouts. 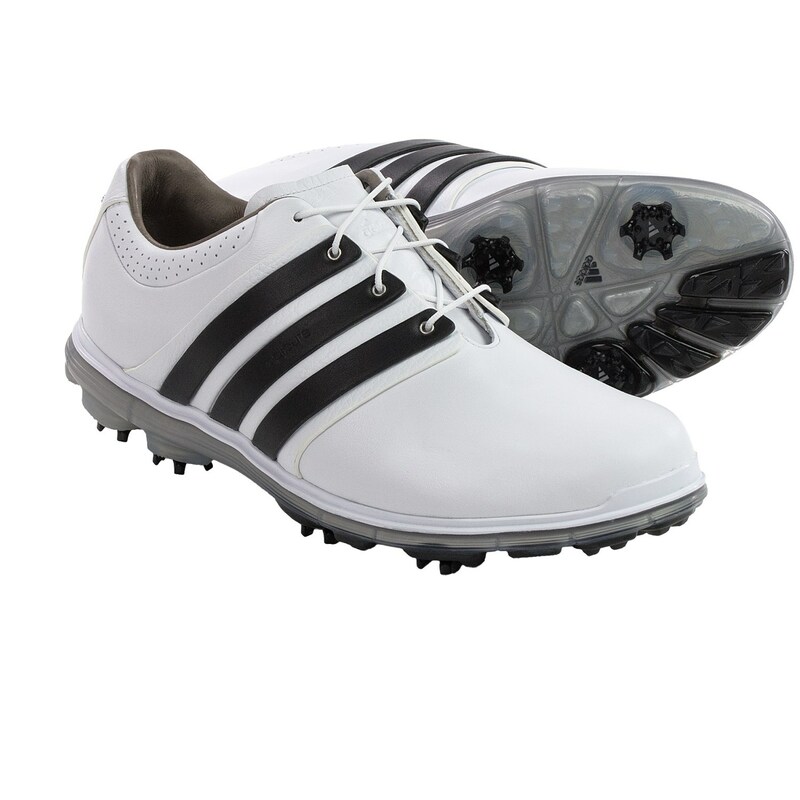 adidas golf’s Pure 360 LTD golf shoes have it all: waterproof, lightweight, cushioned and flexible design with a superior grip and traction control. The leather upper features ClimaProof® weather protection to keep feet warm and dry, and the puremotion® midsole and outsole are crafted with poured polyurethane for flexibility and comfort. Swing Plane traction and CenTraXion fuse with the ThinTech® outsole for increased grip, stability and durable traction.